According to Deseret News reports on immigration, the Edward T. Mumford company consisted of 250 individuals and 28 wagons when it began its journey from the outfitting post at Benton, Wyoming. Salt Lake Telegraph reported five total deaths throughout the company's journey. Allred, Isabelle Wade, [Interview], in "Utah Pioneer Biographies," 44 vols., 3:104-5. "Capt. Mumford's Train," Deseret Evening News, 19 September 1868, 3. Deseret Evening News, 23 September 1868, 3. Francis A. Brown Journal, 1867 September – 1868 September. "Immigration," Semi-Weekly Telegraph, 28 September 1868, 2. "Immigration," Semi-Weekly Telegraph, 28 September 1868. "Immigration of 1868," Semi-Weekly Telegraph, 28 September 1868, 3. 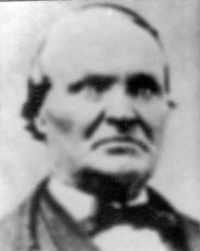 Kimber, William James, [Autobiographical sketch], in Pioneer Pathways [1998- ], 1:69. Kimber, William James, Life history, in [Biographical sketches of the Kimber and Toyn families]. Larsen, Hans S., Autobiographical sketch, 3. Mumford, E. T., to Brigham Young, 11 Sep. 1868, in Brigham Young, Office Files 1832-1878, reel 44, box 32, fd. 18. "Names of Passengers in Captain Mumford's Train," Deseret News, 23 September 1868, 1. "Returned," Deseret Evening News, 12 September 1868, 3. Salmon, Margaret Robertson, [Reminiscences], in Our Pioneer Heritage , 20 vols. [1958-77], 11:253. "The Emigration," Deseret Evening News, 5 August 1868, 3. "The Immigration," Deseret Evening News, 11 September 1868, 3. "The Immigration," Deseret Evening News, 14 September 1868, 3. "The Immigration," Deseret Evening News, 5 September 1868, 3. "The Immigration," Semi-Weekly Telegraph, 24 September 1868, 2. "The Immigration, Etc," Semi-Weekly Telegraph, 6 August 1868, 3. "Train In," Deseret Evening News, 24 September 1868, 3. About 250 emigrants, principally people from England and Scotland who crossed the Atlantic on the ship Emerald Isle, traveled in E. T. Mumford's company. They traveled by train (in box and cattle cars) from New York to the wild and woolly end-of-track town of Benton, Wyoming (located 11 miles east of present-day Rawlins). This "Hell-on-Wheels" temporary town was inhabited by about 3,000 itinerant railroad workers, soldiers, saloon keepers, gamblers, and mule-whackers. Mumford waited there with his out-and-back teamsters for the arrival of the emigrants for nearly nine weeks. During that time several of the company's livestock were stolen. When the emigrants arrived at the rail terminus, they loaded passengers, supplies, and luggage into a mule train of 28 wagons and started back to Utah on September 1. They traveled in a northwesterly direction from Benton through Whiskey Gap and northward from there until they reached the Sweetwater River and the old emigrant road. At this late date, they encountered head winds and cold nights. They entered the valley through Parley's Canyon and reached Salt Lake on September 24. There were seven deaths in the company.